Sparks Gifts Wholesalers to the retail gift trade are please to offer a wide range of Wedding and Anniversary gifts. 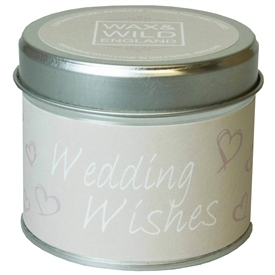 Supplying Wedding Shops, Gift Shops and General Gift Retailers we look for the latest Wedding Season and Anniversary trends and designs, adding to our range regularly. We stock Wedding & Anniversary Photo Frames, Wedding Journals and Keepsakes Boxes, Mr & Mrs Gifts, Flower Garlands, Mother of the Bride, Mother of the Groom, Best Man Gifts, Wedding Table Decorations and Wedding favours, Wedding Plaques and all things 'Hubby & Wife'. Visit regularly to see the latest Wedding design and trending Wedding Day Gift products. 18+ Adult Novelty Products also available - Click here - Great for Hen Nights! Mr and Mrs Gifts, Husband and Wife gifts, wedding favours, wedding table decorations, Best Man gifts, Bridesmaid Gifts, Mother of the Bride gifts, Mother of the Groom gifts, Ushers and Page Boy gifts. Wedding Plaques, Wedding keepsake boxes and trinkets. 25th, 40th, 50th and 60th Annivesary gifts are just a few of our Wedding and Annivesary gift products available at Sparks Gifts Wholesalers. Gift wholesalers to all gift retailers, gift shops and gift traders. We supply wholesale Wedding gifts and wholesale Anniversary gifts to Wedding Shops, Wedding Planners, Wedding Gift Shops and always stock the latest in Wedding Season, wedding design and latest wedding trending giftware.